We have been offering postcard printing in Nottingham and the surrounding areas for many years. All of the printed postcards we offer are finished to the highest standard to ensure our customers receive a high quality products. From size options to styling and much more, the team at CRS Graphics have you covered. Postcard printing is a highly sought-after service that many individuals and businesses choose to use. Whether it be for marketing purposes or to show off that you’re on holiday, the modern uses for postcards are endless. With our online store you can easily purchase postcards online or if you’d like to chat to someone to place an order, then give us a call on 0115 940 0051 and one of our team will be more than happy to help. All of the postcards we print are of a high standard. We only use quality materials and inks to ensure a both a professional look and quality feel. We can cater to almost any requirement and we can customise anything from the size of the printed postcard to material it’s printed on and much more. Having worked with many businesses and individuals throughout Nottingham for many years, we have developed a valued reputation for the postcard printing service we offer. For high quality printed postcards be sure to order from CRS Graphics. 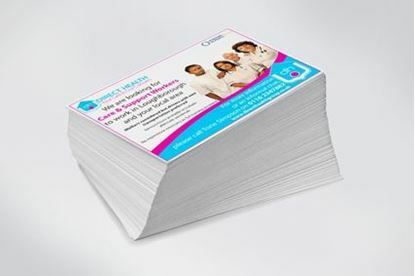 Whether you’re based in Nottingham or anywhere in the country, if you’re looking for postcard printing, then be sure to order from CRS Graphics. We offer a range of printed postcards that can be fully customised around your needs. Whether it size, single or double sided, style or colours, we can create the perfect postcard for you. All postcard printing orders can be placed online or alternatively give us a call on 0115 940 0051 and we’ll be more than happy to assist.